A TRIP TO BARBADOS is not complete unless you delight in our national dish, Cou Cou and Flying Fish, available throughout the year from local restaurants. Made from corn meal, okra, and flying fish and topped with an aromatic tomato sauce, onion, chives, thyme, fresh pepper, garlic and other herbs, this dish was ranked at No. 3 on the National Geographic’s top 10 National Dishes in 2011. In fact, the food experts described the dish as a “a polenta-like cornmeal and okra porridge, Cou Cou pairs perfectly with flying fish – once abundant – which is either steamed with lime juice, spices and vegetables or fried and served with a spicy sauce”. In contrast, the Italians prepare a similar version of the dish called Polenta, thus supporting the comparison. From experience, the creaminess of the Cou Cou and the spicy yet sweetness of the flying fish make a perfect combination especially if you’re a food enthusiast (foodie). But obtaining the creamy texture of the Cou Cou is no child’s play! One must continuously stir the mixture vigorously with a tool specifically created by Barbadians for this dish, a Cou Cou stick or a long stick that resembles a miniature cricket bat. The vigorous stirring is to ensure that the Cou Cou is lump free as a means of having a smooth, fluffy meal. Also known as Fungi in other Caribbean islands, namely Dominica, Antigua and the Virgin Islands, the recipe was passed down from African slaves who came to the island in 1644. 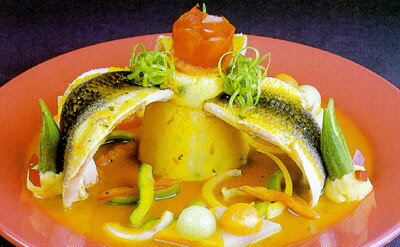 Traditionally, Cou Cou was served in an oval form and had to be placed in an enamel bowl to obtain the shape. Make the Cou Cou: Combine the water, okra, red pepper, salt, and hot sauce in a large saucepan. Bring to a boil and cook, stirring, until very thick. Transfer half of the okra mixture to a bowl. Divide the cou cou among the plates, make a well in each, and spoon the fish and sauce over the top. BARBADIANS LOVE CRICKET! 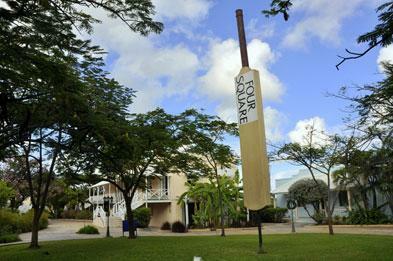 Thus, it was no surprise that the opening of the first ever cricket museum in Barbados, Cricket Legends of Barbados Museum, in May, 2010 was an historic event etched in the hearts of cricket lovers and Barbadians. 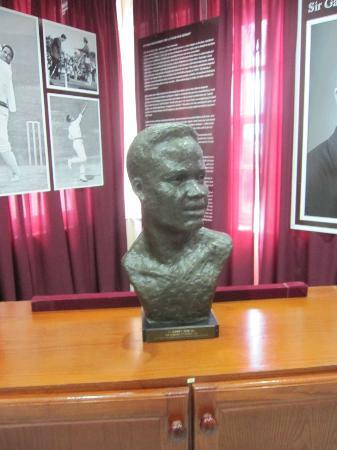 Centrally located in Herbert House, Fontabelle, St. Michael or just yards away from the world class Kensington Oval, the cricket museum is home to a wealth of information featuring Barbados’ legendary cricketers. Filled with memorabilia dating as far back at the early 1900s, the museum takes you on a nostalgic trip to the more glorious days of the West Indies when the team fiercely dominated the world of cricket. In fact, visitors are greeted by the numerous legends whose pictures are beautifully displayed against the wall on the right hand side of the Portrait Room. With eight of those members on the wall considered icons for their sterling and outstanding performances throughout the years, their statistics and brief biography can be viewed under each respective portrait. These Icons are Sir Garfield Sobers, Sir Everton Weekes, Reverend Wes Hall, Charlie Griffith, Seymour Nurse, Gordon Greenidge, Desmond Haynes and Joel Garner. In the Heritage Room, there are exhibits dating back to 1895 and one will learn about the early masters of Barbados cricket. From personal experience, be prepared to let your imagination rove as the photo depictions are worth a thousand words and the passionate faces of the players depict the enthusiasm they possessed for the sport. 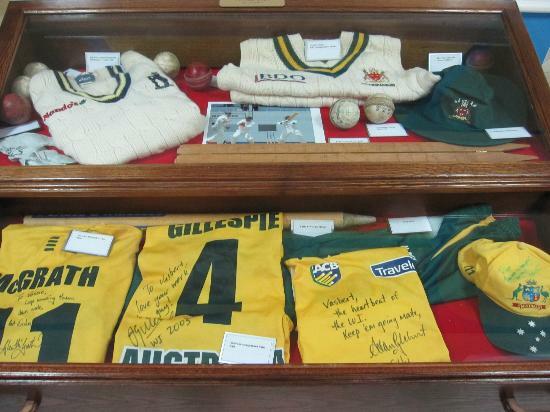 The Icons Room has collections from Desmond Haynes and Gordon Greenidge, the game’s most notable opening pair. But this room wouldn’t be complete without a dedication to Sir Garfield Sobers, the game’s greatest all-rounder. While the Press Gallery is home to old newspaper clippings and articles that greatly honor the contribution of the media to the development and promotion of cricket over the years. Also noteworthy is the concept of “Cellars”, which revolves around the capture of historical high points, milestones and changes at some of the major ovals like Sabina Park and Kensington Oval. 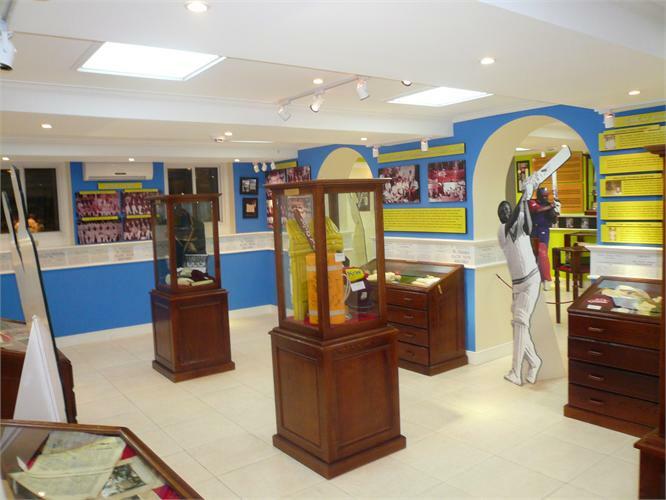 So whether your desire is to gain an insight to Barbados’s cricketing history or to obtain some of the keepsakes available, this museum will meet your every cricket need. This week’s blog post takes you to the south eastern parish of St. Philip where the Foursquare Rum Factory and Heritage Park is located close to Six Roads, occupying the site of a former sugar factory that dates back to the 1636. Seated on eight acres of plantation yard, the property has been skillfully landscaped to establish a park and entertainment venue. Additionally, the factory and plantation outbuildings have been restored to pristine condition, combining the historic structure with modern technology, making it one of the most modern in the world. 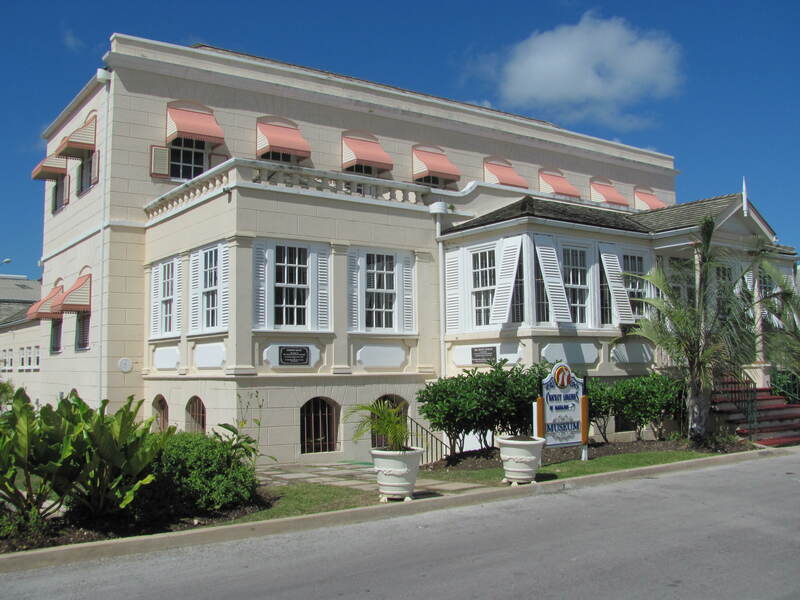 Owned and operated by R. L. Seale & Co. Limited, the property also houses several other attractions including a sugar machinery museum, folk museum, bottling plants, and a glass fusing studio. The first captivating piece that you will encounter is the extraordinary Cooling Tower to the right of the entrance. This spectacle is about one hundred years old and was used by the sugar factory to cool the water that circulated through the condensers of the vacuum pans. Today, it is used to aerate the condensed steam produced by the concentration plant located just adjacent; this process is used to reduce the pollutants that are present in the condensed steam. This is just one of the green practices utilized by this environmentally conscious Barbadian company. Constructed in 1737 using slave labour and made entirely of oral stone, an exquisite example of Barbadian architecture and masonry in the form of a Distill House can also be found. The interior, which is emphasized more by the beautiful exposed wooden beams that make up the ceiling of the building, makes it particularly impressive. On the lawn, metal sculptures crafted to perfection using old gears and machine parts from the sugar factory are on display for an admiring audience. A play area for children, where even the playground equipment has been constructed from quite a few recycled parts from the old sugar factory, also shares the lawn. The small Ferris wheel is a prime example of this ingenuity; it was built by Dr. Lawrence Bannister M.D. 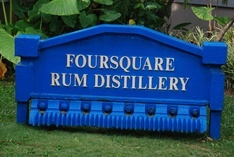 In terms of the renowned rums produced, there are E.S.A Field, Doorlys, Old Brigand, Foursquare Spiced Rum and Tommy Bahama. With such refined spirits, the RUM SIXTY SIX family reserve was awarded best in class in 2010 having entered the prestigious International Wine & Spirits Competition. So whether your adventurous nature seeks to find the historic significance of the factory or your desire is to sample the ‘spirits’ of Barbados, this is the ultimate place for you. 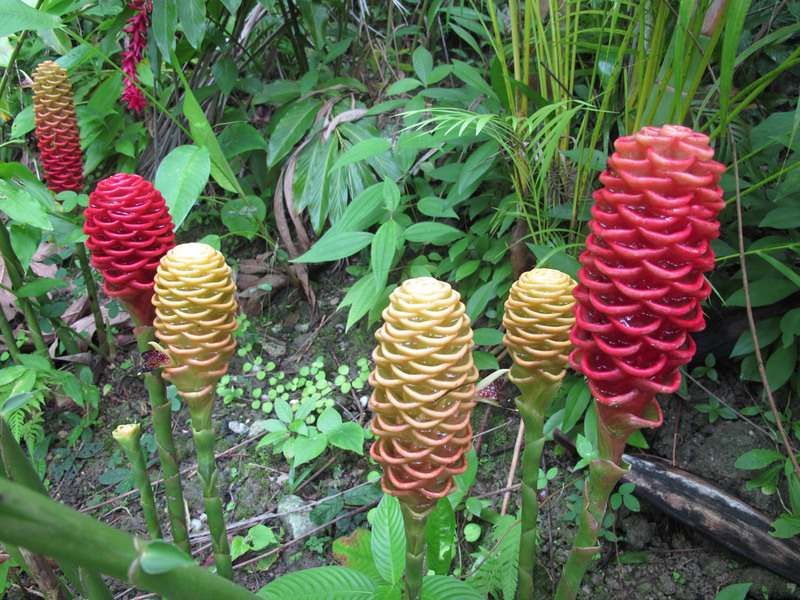 A KALEIDOSCOPE OF COLOUR welcomes you to a natural wooded area located in Richmond, St. Joseph, Barbados called the Flower Forest. 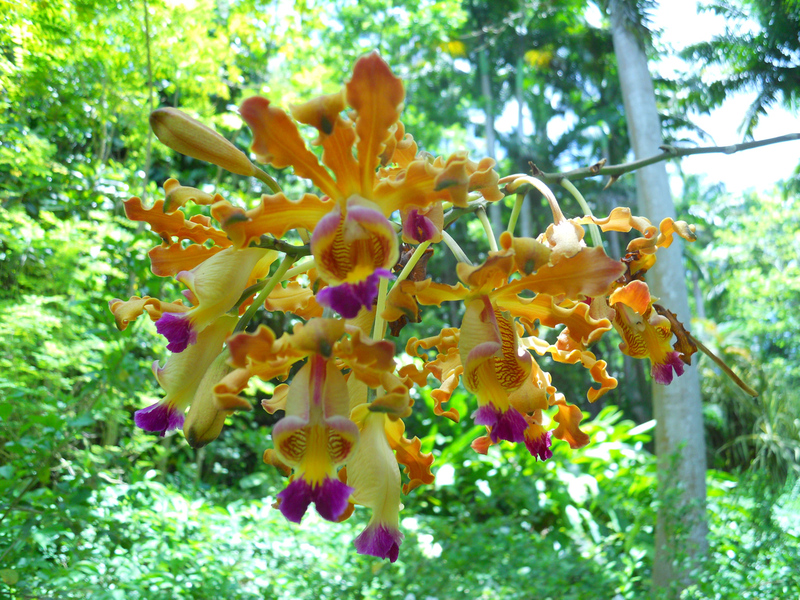 Nestled on seven acres of greenery, the wild gardens were dexterously landscaped to highlight the superb beauty of the countless tropical blooms and lush flora. Formerly a sugar plantation, it has retained its boiling house and a few vestiges but its transformation to a rainforest and botanical gardens has been described as “mature and stunning”. Bright vibrant reds and oranges of the heliconias, known as the ‘bird of paradise’, and high begonias are amongst the abundance. The topography of the area features gentle hills offering amazing vistas of the lush countryside and eastern coastline as strategically placed benches also allow for rest along the trail. Sporadically, the indigenous green monkey can make themselves known during your visit but because of their familiarity with humans, they are harmless and will just sit and observe. If you are lucky, they might even entertain you with some of their mischievous antics. The melodious chirping from the diverse species of birds will add to the nature trail as their homes are in the surrounding trees. Along the trail, the paths are amusingly named thus becoming lost is reduced to a minimum. 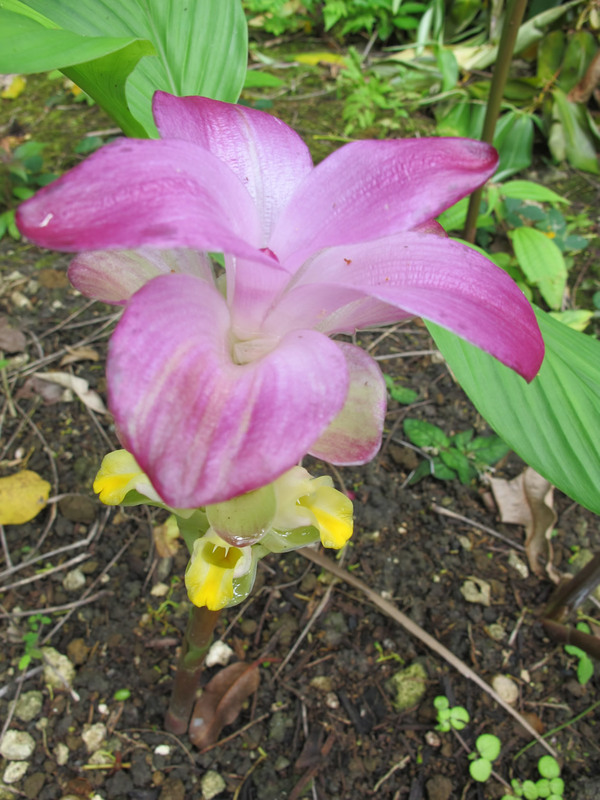 Tours through these botanical gardens are self guided however; officials can provide guided tours by reservation and they last about forty-five minutes. 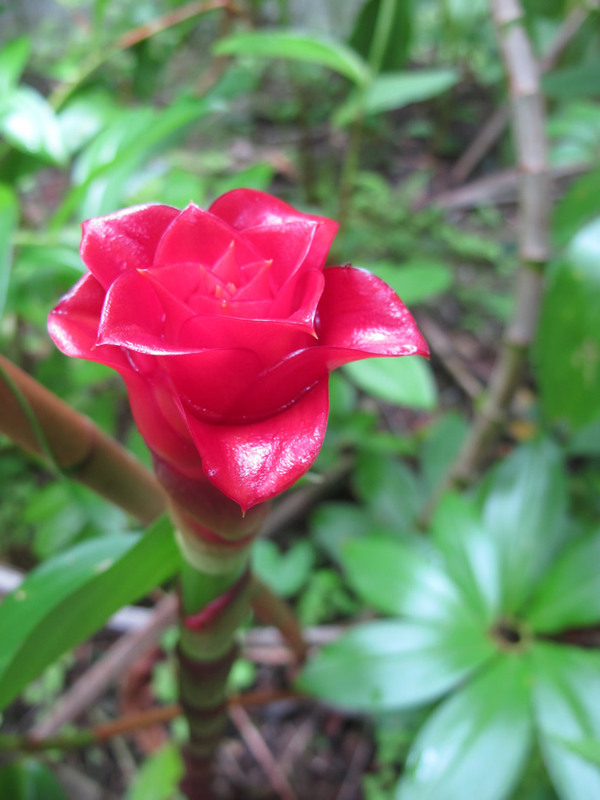 The Flower Forest is also wheelchair accessible but the forest paths can be uneven and slow going along is advised.